The European Space Agency has a brand new head. Johann-Dietrich Woerner took over the agency two weeks ago and he just dropped a major new proposition: Let’s build a village on the moon. We should look to the future beyond the International Space Station. We should look for a smaller spacecraft in low-Earth orbit for microgravity research and I propose a Moon village on the far side of the Moon. A Moon village shouldn’t just mean some houses, a church and a town hall. This Moon village should mean partners from all over the world contributing to this community with robotic and astronaut missions and support communication satellites. Okay! So far, so good (although please note that we are firmly behind any efforts to build an old-timey town hall on the Moon or any other galactic surface). The Americans are looking to go to Mars very soon – and I don’t see how we can do that – before going to Mars we should test what we could do on Mars on the Moon. Of course, so far the lunar city proposal is just that—a proposal. The funding, the tech, and, perhaps most important of all, the timeline have yet to be filled in. 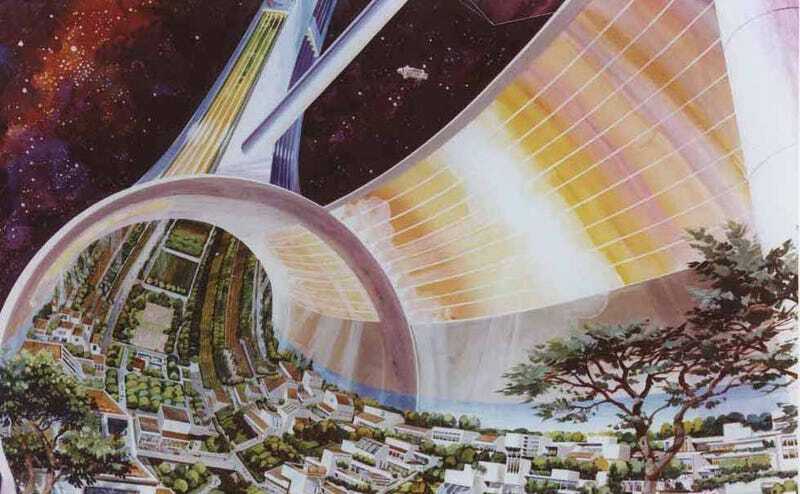 Still, it’s a suggestion of just where we might expect ESA space colonization research to focus next.